South Gallia senior Braxton Hardy (1) transitions up the sideline, during the Rebels’ season finale on Feb. 27 in Rocksprings, Ohio. Eastern junior Garrett Barringer (30) shoots a jumper during the Eagles’ season finale on Feb. 26 in Rocksprings, Ohio. COLUMBUS, Ohio – The Division IV boys basketball All-Ohio teams were announced Tuesday by a statewide media panel. The teams were selected by members of the Ohio Prep Sportswriters Association. 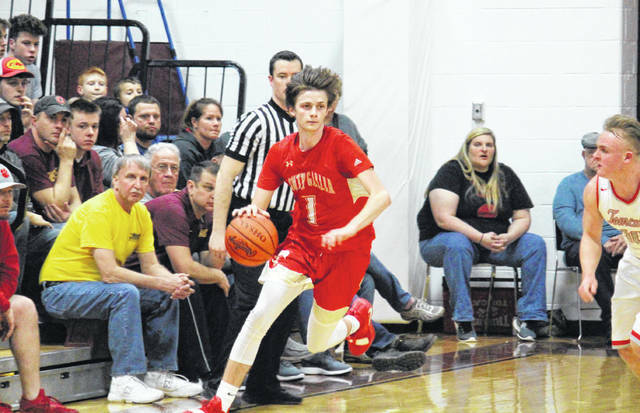 The Ohio Valley Publishing area had a pair of players chosen to the D-4 squads as honorable mention selections, with Eastern and South Gallia both coming away with a single honoree. Representing the Rebels on the list for a second straight year is 6-foot-3 senior guard Braxton Hardy, who scored 15.8 points per game and helped the Red and Gold to a 14-10 record this winter. Garrett Barringer — a 6-foot-5 junior center — represented 11-12 Eastern on with his first All-Ohio basketball honor, scoring 15 points and grabbing eight rebounds per game. Both local selections were also second team honorees on the 2019 OPSWA All-Southeast District squad for Division IV this winter. Toledo Maumee Valley Country Day junior Zeb Jackson was named the state’s D-4 Player of the Year, while Mark Schlabach of Berlin Hiland was named Coach of the Year. https://www.mydailytribune.com/wp-content/uploads/sites/42/2019/03/web1_3.22-SG-Hardy.jpgSouth Gallia senior Braxton Hardy (1) transitions up the sideline, during the Rebels’ season finale on Feb. 27 in Rocksprings, Ohio. 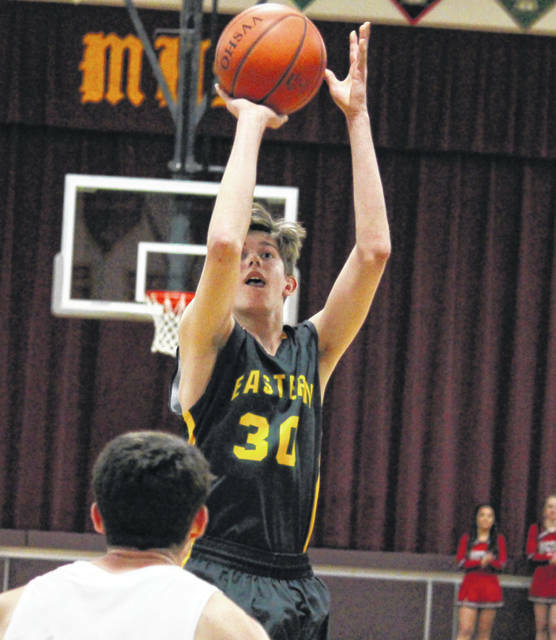 https://www.mydailytribune.com/wp-content/uploads/sites/42/2019/03/web1_3.22-EHS-Barringer.jpgEastern junior Garrett Barringer (30) shoots a jumper during the Eagles’ season finale on Feb. 26 in Rocksprings, Ohio.